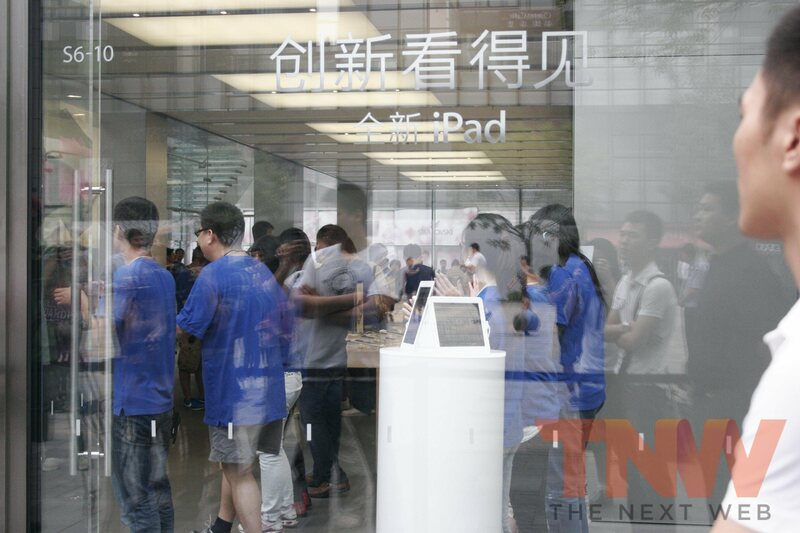 Apple product launches in China are renowned for being chaotic and rowdy but today the company began selling its new iPad in the country under rather unusual circumstances. Instead of being greeted by massive queues and anxious customers — as has become the norm — the Retina display equipped device has enjoyed a more muted and organised opening. Yesterday, Apple laid the foundations for a more controlled launch day when it introduced a pre-sale reservation system that requires all customers to register their interest in the device — priced from RMB 3688 ($579) — in advance of buying the flagship tablet computer. As well as insuring against large queues, the system is designed to restrict the influence of scalpers, independent sellers that buy the device in bulk with the aim of reselling it for profit, whose large numbers have blighted previous launches. 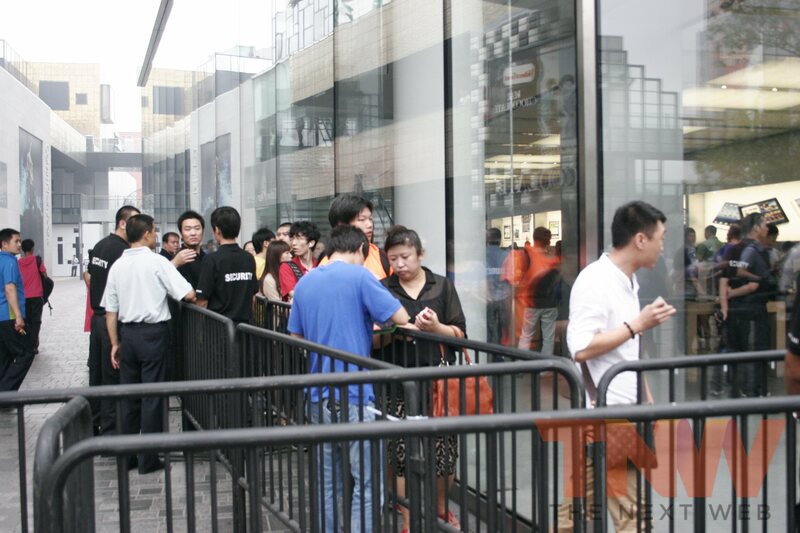 The introduction has avoided a repeat of the madness of March’s iPhone 4S launch and Apple’s flagship Chinese store — in Beijing’s Sanlitun district — actually opened at 8:00 am, two hours earlier than scheduled. Half an hour later, the queue outside was just 10 people long, although it began to pick up subsequently. Nonetheless, security gates have been set up while a number of security guards are enforcing the albeit short line – though there is no suggestion that Beijing police will be summoned, as had been the case when events flew out of control when the iPhone 4S debuted. 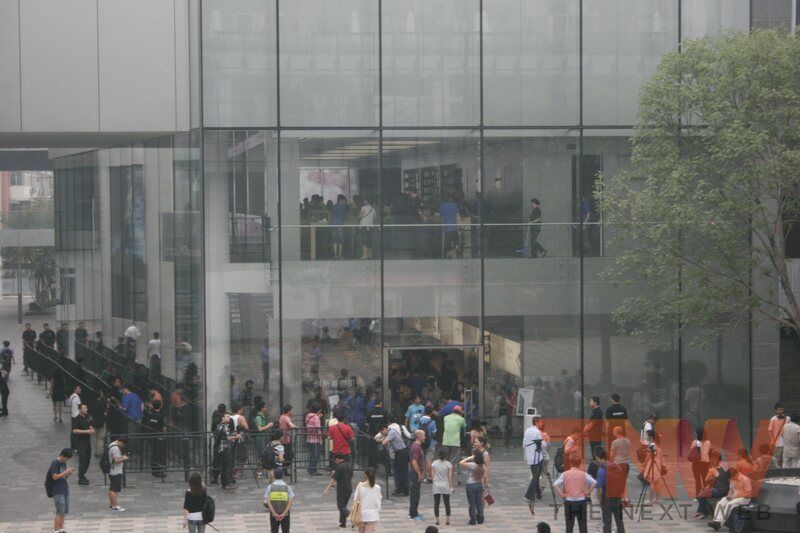 Sanlitun was the flash point then, as scalpers and customers become restless at being forced to wait as the Apple Store opening was delayed. Buoyed also by reports of stock issues, the waiting crowd grew rowdy, scuffling with staff and fellow queuers and pelting the store with eggs. 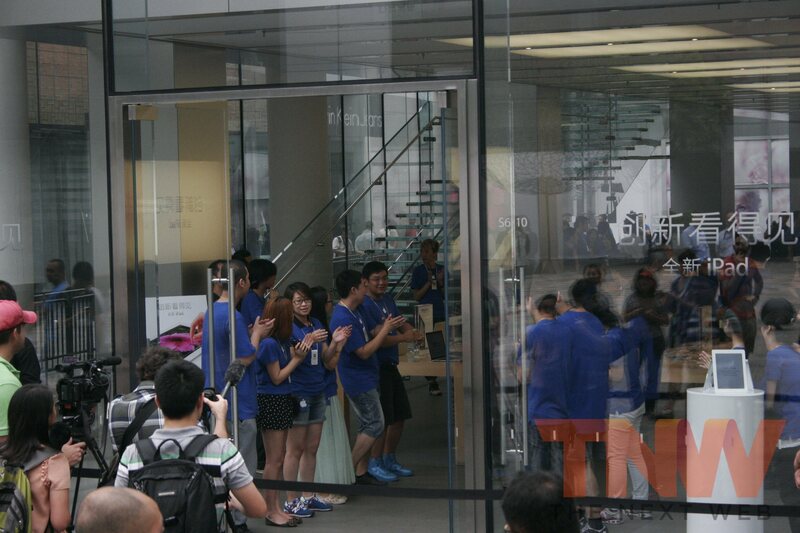 The store was subsequently closed, as were Apple’s other China-based retail outlets, following the scenes. 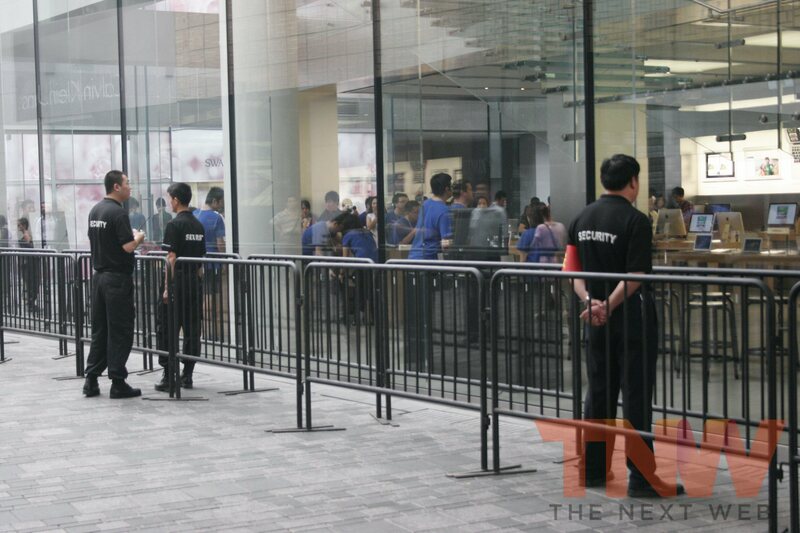 As of now, today, there is no sign of the scalper contingent, which is typically out in full force for Apple product launches in China – the computer giant’s second largest market. According to staff at the Sanliutin Apple Store, iPad sales will continue to be reservation-only indefinitely. Customers can reserve the new iPad daily from 9am-12pm and will be assigned a pickup time for the following day or later. It remains to be seen what effect the age of the new iPad — which was first launched some four months ago — will have on sales, but Apple has certainly learnt from past experiences with the system that it has deployed for today’s launch. The reservation system was first introduced in Hong Kong when the iPhone 4S was launched in January and is set to become the norm in this part of the world.